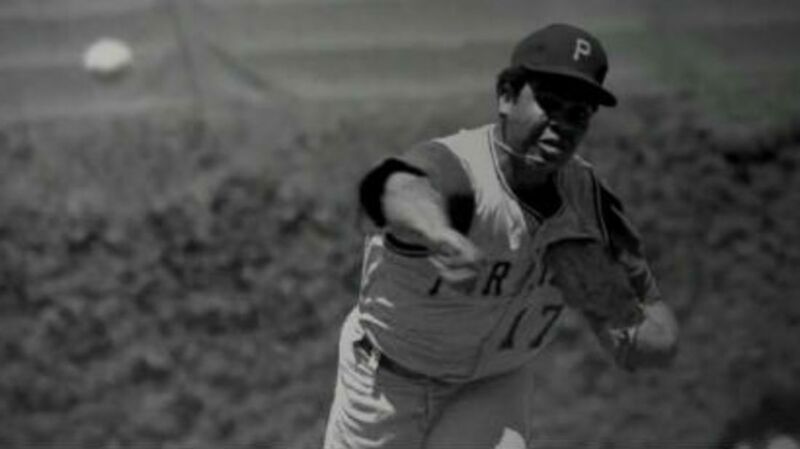 On June 12, 1970, Dock Ellis was unprepared to pitch against the San Diego Padres for one simple reason. He thought it was still June 11. Number 17 for the Pittsburgh Pirates, Ellis had developed a reputation for brazen behavior. He liked to wear curlers in his hair because Major League Baseball management didn’t want him to. He was outspoken in matters of race, once remarking that managers would never allow “two brothers” to start in an all-star game. Jackie Robinson wrote him a letter encouraging his social consciousness while warning him that not everyone was going to like it. Playing on LSD wasn’t exactly part of the plan, but Ellis liked to work with what he had. Before the game in San Diego, Ellis had crashed in Los Angeles at the home of a friend, where he dropped tabs of acid. He woke to the sounds of the man’s girlfriend telling him he had to pitch that afternoon. He insisted the game was tomorrow. It was only when she showed him the sports page of the day's newspaper that he believed her. “What happened to yesterday?” he asked. He caught a flight to San Diego, suited up, and in the clubhouse swallowed Benzedrines, a stimulant, to counter the effects of the LSD. Standing on the mound, he could barely identify the players in front of him. They were swinging bats, that much he knew, and sometimes they’d stand on the other side of home plate. Disoriented, he tried focusing on the reflective tape wrapped around the catcher’s fingers. One inning bled into the next. Everyone knew he was high on something. It wasn’t pretty—Ellis kept beaning batters and walking them—but pretty soon he realized he was looking at a no-hitter, or “no no.” Even when the pitcher isn't tripping his face off, the chances of that are as low as 1 in 1,548 games. The game might have seemed like hours, or seconds: Ellis would later say he lost all concept of time. But when it ended, the Padres hadn't been able to touch him. He had pitched a no-hitter on acid. At first, Ellis was gleeful about the incident. He related the story to author Donald Hall, who was co-writing his autobiography, Dock Ellis in the Country of Baseball, but was talked out of publishing it for fear it would blemish the League. (Instead, the book said he pitched the game while hungover.) As its legend grew, so did Ellis’s exaggeration of the feat. He recalled seeing Jimi Hendrix swinging at his pitches with a guitar and Richard Nixon standing behind home plate. It’s hard to know for certain what he actually experienced. LSD, or lysergic acid diethylamide, is a psychedelic drug that can cause a variety of sensations by stimulating serotonin receptors. Distorted senses, vivid colors, hallucinations, and emotional highs and lows are all common. Ellis recalled that when one batter hit the ball, he’d hopped out of the way, afraid of getting hit. In reality, the ball was a grounder rolling towards him in the grass. But as Ellis’s interest in drugs dwindled, he began to grow slightly more sheepish about the story. Before his death in 2008 from liver disease, he lectured wayward kids on the perils of substance abuse. He claimed he took drugs to numb the fear of failure. He could never quite shake the desire to amplify it, though. “I was as high as a Georgia pine,” he’d say. During those moments, it was hard to know whether Ellis was ashamed or proud of that evening. Either way, June 12, 1970 was a date he no longer had any problem remembering.